Retro68's cushions were used by the National Trust when they opened a "pop up" flat in October 2014 in Balfron Tower, London and Hemingway designs used original furnishings from the 1960s to furnish the flat. Balfron Tower was designed by modernist architect Ernö Goldfinger, and finished in 1967, Flat 130 is the flat that Goldfinger himself lived in for 2 months in 1968, to prove the desirability of high-rise living. All items are made with great care & attention using an eclectic mix of vintage & modern fabric thus making each item a unique and eye catching creation that would sit happily in either a modern or traditional home. All the cushions are original, not mass produced and are designed by Retro68 so no two items will ever be exactly the same. 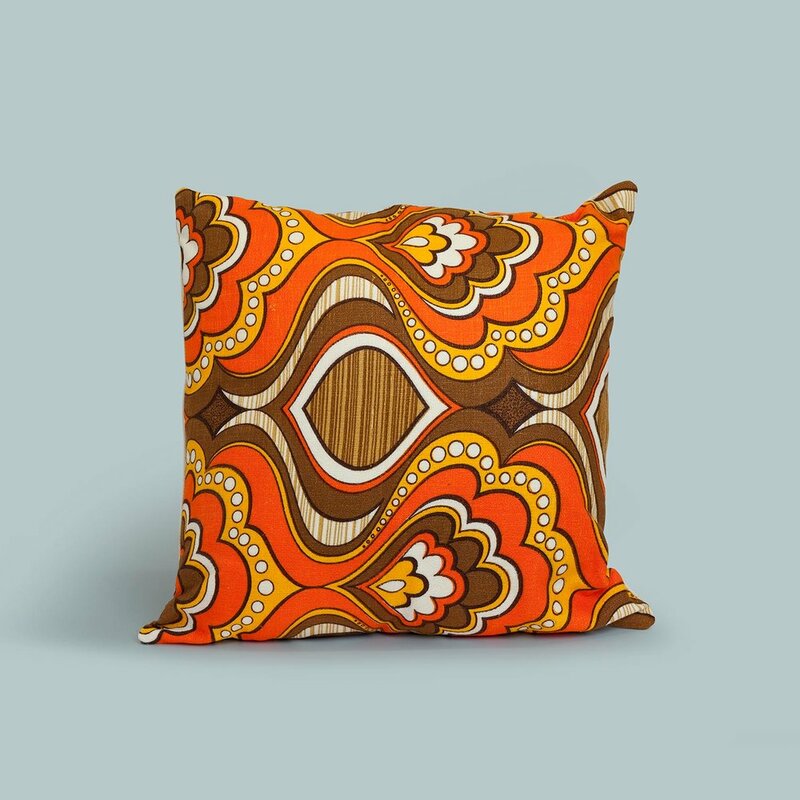 Cushion are in two sizes and a variety of designs but be quick - once the fabric is gone, it's gone forever!